Ideal for successional sowings to ensure a continuous supply. A wonderful blend of salad leaves which will add texture, colour and flavour to your salad bowl. A range of varieties all developed for baby leaf production. All feature excellent colour and texture, plus high levels of mildew resistance. Also suitable for whole head production. 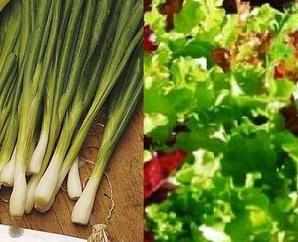 Varieties will grow at different rates giving a different salad at each cut and a longer harvest.